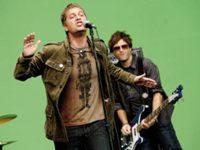 Upon the release of their debut album, Yourself or Someone Like You, in fall 1996, Matchbox Twenty was pigeonholed as one of the legions of post-grunge guitar bands that roamed the American pop scene in the middle of the ’90s. As their first single, “Push,” climbed the charts, it was widely assumed (at least by cynical critics) that they were a one-hit wonder, but Yourself or Someone Like You continued to spin off singles well into 1998. By that time, the group’s blend of ’70s arena rock and early-’90s American alt-rock — closer to Pearl Jam and maybe R.E.M. than Nirvana — had become the sound of mainstream American rock. That transition slipped underneath the radar of many pop music critics and fans. Yourself or Someone Like You sold millions of copies without ever truly dominating the charts — by 1998, it had gone platinum five times; by 2000, ten times. At no time did the record top the charts, but it was always around, a staple of modern rock, adult alternative, and Top 40 radio alike. Matchbox Twenty was omnipresent because they managed to blend the structure and sentiment of ’70s arena rock with ’90s hard rock, thereby winning a large audience by seeming simultaneously classicist and modern. They were a little more classicist than modern, but that’s the reason why they became America’s most popular rock band of the late ’90s — even if nobody quite realized they had achieved that status. 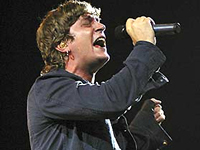 The de facto leader of Matchbox Twenty is lead singer and songwriter Rob Thomas. An Army brat born on a military base in Germany, Thomas spent much of his childhood between his mother’s house in Florida and his grandmother’s place in South Carolina. The stress of the constant movement spilled over into his schoolwork, and he dropped out of high school at the age of 17. He spent some time wandering around the Southeast, singing in a variety of rock bands before he made Orlando, FL, his home base. There, he met bassist Brian Yale and drummer Paul Doucette, and the three spent several years drifting through local bands before Matchbox Twenty officially formed. They rounded out the lineup with Adam Gaynor (rhythm guitar, vocals), who had previously worked at the Criteria Recording Studios in Miami, and Kyle Cook (lead guitar), a former student of the Atlanta Institute of Music. The band hooked up with Collective Soul producer Matt Serletic and recorded a batch of demos, which helped the band secure gigs throughout the U.S. Soon, the band signed to Lava, a subsidiary of Atlantic Records, and recorded its debut, Yourself or Someone Like You, also with Serletic. The album was released in October 1996 to little attention, but Matchbox Twenty continued to tour America, cultivating a fan base. They eventually landed their single “Long Day” on several influential radio stations, which paved the way for their breakthrough hit, “Push.” In spring 1997, “Push” began climbing its way to the top of the modern rock charts, as it received heavy airplay from radio and MTV. By the summer, the single was in the modern rock Top Ten, and Yourself or Someone Like You had reached the album Top 40 and gone gold. As it turns out, “Push” wasn’t the culmination of their work but the beginning of a somewhat surprising success story. During fall 1997, the record picked up momentum, as “3am” became a bigger hit than “Push,” propelling Yourself or Someone Like You to multi-platinum status. Early in 1998, the group was named Best New Band by Rolling Stone’s annual reader’s poll — proof that, even if Matchbox Twenty wasn’t winning critics, they were winning over a wide, mainstream audience. The band and its debut album continued to sell at a steady pace throughout the year as the singles “Real World” and “Back 2 Good” joined “Push” and “3am” as radio favorites. Throughout it all, Matchbox Twenty stayed on the road, at home and abroad. They did well in foreign territories, including Canada, but they truly connected with Australia, where they went platinum eight times; in neighboring New Zealand, the band went quintuple platinum. 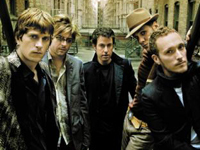 Matchbox Twenty reserved 1999 as the year to record their eagerly anticipated second album, but they didn’t disappear from the spotlight, due to the unexpected success of “Smooth,” a Santana song co-written and sung by Rob Thomas. “Smooth” was one of many songs sung by celebrities on Santana’s cameo-studded comeback album Supernatural, but it was the one chosen as the lead single. A wise choice, as it turned out, since it became a true pop phenomenon, topping many radio charts and driving Supernatural to multi-platinum sales and many industry awards. Throughout the second half of 1999, “Smooth” was inescapable, as it and Supernatural sat on the top of the pop charts. Its success brought more attention to Matchbox Twenty, and Yourself or Someone Like You rocketed to over ten million copies sold — which now qualified it for the RIAA’s Diamond Award, which is only granted to records that have moved over ten million units. On top of that, Thomas was named BMI’s 1999 Pop Songwriter of the Year, for “Smooth” and his work with Matchbox Twenty. Early in 2000, Thomas won three Grammys for “Smooth” — Song of the Year, Record of the Year, and Best Pop Collaboration with Vocals.